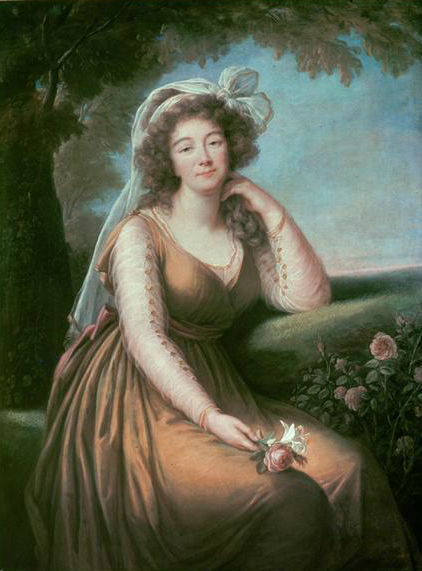 Elisabeth Louise Vigée-LeBrun, Comtesse Marie Dubarry. 1789, oil on canvas. Musée St.-Didie. "The same rule, applies to the head-dress for women of a certain age, as well as to the dresses and jewels, except the paint, which elderly people put on here, and they are perhaps even a little stronger in tone than those of the younger ones. For the rest, after reaching forty-five years of age, one wears less startling colours, and the dresses are cut less to the figure and are not so light, and the hair is not so curly nor the head-dress so high." Langlade, Émile, and A. S. Rappoport. 1913. 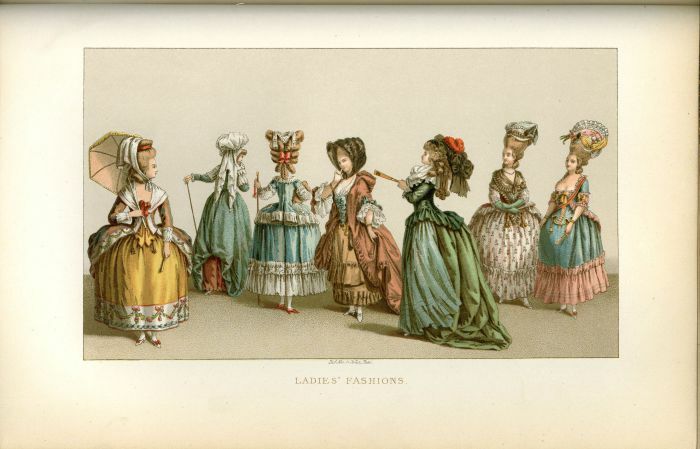 Rose Bertin, the Creator of Fashion at the Court of Marie-Antoinette (Classic Reprint) . London: J. Long, limited. Ladies' Fashions, from The XVIIIth Century : its institutions, customs, and costumes, France, 1700-1789 by Paul Lacroix, aka Bibliophile Jacob. Published by Chapman and Hall, London. 1876. Image from Ringling Museum Library. i can not get enough of this!!! It sounds as if she is describing this matronly look.